Bear introduced me to a video game back in the early 90s which sparked my imagination. This is Ultima 7, a classic role-playing game that features an expansive map and the ability to wander it where ever you please, doing whatever you please. I found it difficult to stay focused on any storyline when it was just as fun to get lost in the game’s forests until finding the occasional random encounter. Of course, as a 12 year old, I felt compelled to bring that fantasy world to life by grabbing a walking staff and a medieval light source, such as a taper, donning a cloak and losing myself at night in the woods near my home. So we started planning. Maps consulted, inventory lists drawn up. Joseph was charged with the task of finding the best place to do this. Pocomoke forest it would be, being so far from anywhere but Furnace Town and we picked a weekend (about a month ago now), both Friday and Saturday nights of which would be perfect: clear, no wind, with temperature lows of 32, just cold enough to be sure tick season is over and just cold enough for us to need cloaks. I planned much of the little ends. 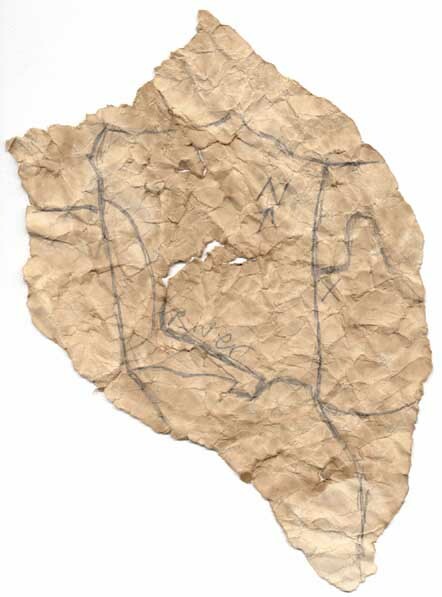 I made parchment for a crude map that we could carry, furnished the rations and researched torch-making. The online resources for making parchment all suggest dousing paper in tea or coffee. 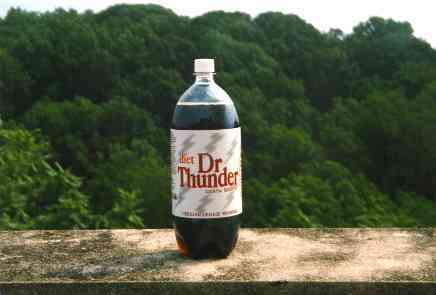 My house has neither of these so I clumpled up some printer paper into a ball and then dipped that into a cup of my dad’s Diet Dr. Thunder, then transfering it to a cup of Worcestershire Sauce (appropriate considering Pocomoke forest is in Worcester County, Maryland). The result was a very nummy-smelling bit of map. Joseph then penciled in approximate details. Making a torch took more time. I first bought some lamp oil, then I tied a small rag to a short stick, dumping some lamp oil on the rag end. When lit, it flared up very nicely. So nice that it flared up too big for the short stick so I had to drop the torch, behind my parent’s house, on a yard full of dry leaves. After a panic to find some water and a container, I tried again, making sure I wouldn’t leave the fireproof stairwell. It seemed to work OK. I found a much longer stick and then cut up a large rectangle of fabric out of a cotton t-shirt. Laying that out in the back yard, I layed it out flat and drenched it with the lamp oil. I thought letting it soak in but dry out would prevent problems. The next day, I took the fabric, picking off a dead house fly who seems to have gotten high on the fumes, folded it longways and wrapped it around the top of the stick, hammering 3 nails in to secure it. Part 2 comming up next. I am speechless. Torches, Ultima and Dr. Thunder styled parchment?!?! WTF?!?! I can’t wait to read parts two and three. This is up there with Alpha-Eps for post of year. Question: Can you even put out a lamp oil based fire with water? I would have thought that water only aggravated the fire since it isn’t burning off of oxygen. If you do this in the future, you might want to research a little into putting out lamp oil fires for safety reasons. This is indeed pretty awesome. It’s been many years since I wandered around a forest at night. Probably since summercamp. Actually I’m a bit jealous. You even got all the cloaks and accouterments. Dang yo! Can’t wait to hear more. Here’s hoping we can have something like this at Protocon 2006. By the way, how did the parchment turn out? I would’ve thought the Dr. Thunder and Worcestershire Sauce would make the paper sticky and difficult to use. Once on a project in college I went out and bought some mint tea in the hopes of turning the paper into greenish parchment, I think it turned out ok but not too green. I think a little bit of food coloring also works for this sort of thing. Loki: Oil fires still burn using oxygen. The problem with adding water to them is that the water doesn’t mix with or soak into the main ingredient (oil) like it would with something like paper or wood. Because of this the water can force the oil to spread out more thus spreading the fire. But even though it’s harder to smother a fire with water, enough water might cool down a fire enough to put it out. Using sand or inorganic dirt to smother an oil fire might work better though. I think the thing that actually burns because it contacts water is phosphorus. On the fire, that makes sense about the oxygen. And basically, correct me if I am wrong, you are saying that you should still attempt to put out an oil fire with sand or something. Also: I understand what you mean about wandering through the videogame. That was basically the entire premise of Moraff’s World, though underground instead of outdoors. 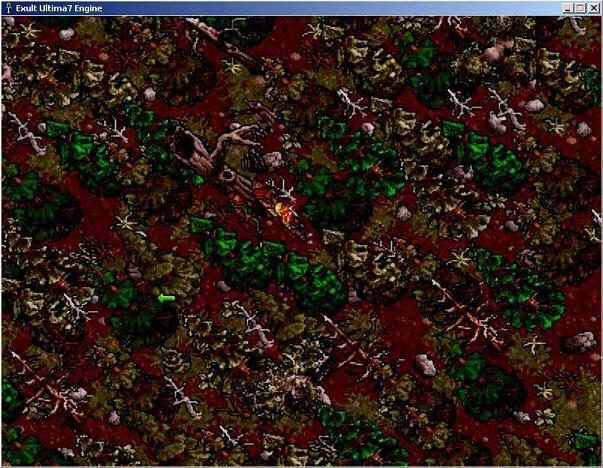 Man I played that game alot in my teens. I don’t know if it was that or just natural curiousity that made the idea of exploring subterranian passages attractive. Sadly I never really got a chance to explore such places myself, except for the caves on San Salvador, which though cool and often bat filled were not very large. In my understanding conventional combustion is enhanced by three things: fuel, heat, and oxygen. Take away any of those things and the fire goes out. However, as this article suggests, even if the fire is oxygen starved and goes out the fuel may have been heated and retain enough heat to spontaneously re-ignite when oxygen becomes present again. Water is used to cool down a substance and I think also to cut off some of the oxygen. As mentioned this poses problems when the water doesn’t mix with the fuel (as with oil). However, water might cool down very small oil fires enough to put them out, and water certainly should help with any of the dry leaves of the yard that caught on fire. I’ve also seen certain circumstances where fire-fighters throw sand or dirt on a fire to put it out. This probably also cools the fire and cuts off it’s oxygen. It might be more effective against an oil fire since the dirt can mix with the oil a bit better than water. I can’t really tell you what’s the best course of action with an oil fire (although a “wet chemical” extinguisher seems to be best if you’ve got one), but if it were me and the oil fire were small I’d try to extinguish it with relatively inorganic dirt or sand (ie. not humus) if it were available. If it were a large oil fire I’d just try to move any additional combustables away from it and let it burn it’s self out, or call the fire department if it looked like it would spread. I can ask the safety maven at work on Monday what is prefferable. She might have a better idea. Dragon’s got the right idea. The water helped a little but I actually smothered the flame with a shallow bucket first. It didn’t go out all the way because air was still getting in, so the water did the rest of the job. We decided that if we needed to put out any fires, covering it with dirt would be the best bet. It was dangerous and kind of stupid to walk around witih open flames, but we were paying close attention and at least it had rained a few days before we went out. We also promised outselves that we would jump on the flames with our cloaks if it ever got even slightly out of hand. About Protocon: You have to consider a lot when you do this. You really have to make sure there’s no civilization around and you’re going to want to make sure it’s not tick season, because if you’re going to be out there for hours, it you can easily get a deer tick on you. One other question: Were the victules you purchased “iron” rations? And if so what the heck is an iron ration? 1) It was heavy. The metal pole was a bit unweildy and you wouldn’t want to carry it for long distances (we just used it for camp-fire processions). 2) You had to make darn sure the fittings holding the can to the pole were water-tight. Prefferably with welding. If they leaked burning liquid down onto the bearer’s hands it was not going to be a fun time. Fortunately I don’t think anyone ever got hurt with these things. I have a different but similar setup in mind that might be safer and easier to carry. I’ll try to sketch it out when I get a chance. Torches – Good. I just didn’t want anyone to catch on fire. The tent pole & TP torch that you’ve described above with leaking fluid doesn’t sound too safe. I feel like I’m playing Mom. Dragon – It looks like the rations are discussed in post 2. And from what little I know about the ration they made, they are pretty dang iron-like. The toilet paper rolls weren’t soaked in gasoline. They were soaked in kerosene. Here’s some footage of one such TP-kerosene Jack-o-lantern contrivance (though I don’t remember the flames being this high in the torches at camp). And here’s something fascinating you can apparently do with the things. I wonder if lamp oil would work in place of kerosene, and if so what the difference in flame height/intensity would be. I always thought kerosone was relatively fast burning while lamp oil (99% parafin in my case) was slow burning. All I knew is the slower the better, when we’re not trying to burn the forest down. What is that second link Pete? How did they make burning TP look that cool? The link seems to work ok on my computer. It basically shows a festival in Thailand where they apparently light rolls of TP on fire and use the warm air produced thereby to loft larg-ish paper-balloons into the night sky. The scene looks a little like those festivals where people float paper-bag lanterns on the water… but floating in the sky instead. Oh – I got it to work, I just wondered what it was. That’s the thing. They make it look all warm and safe and glowy. But how safe is it really to loft burning rolls of TP into the night? Surely at some point they come down. Then what? Does a rain of firey missiles shower down on the world? If one did it it’s probably best to try after a heavy rain when the ground is wet, just to prevent setting the whole town on fire. That is kinda of what I thought… a beautiful thing turned into a fiery massacre of flaming TP and grocery bags. Regarding Ultima, just noticed this and thought it might be of interest.